You never realize how attached to a laptop’s color a brand is until you see it in a new shade. 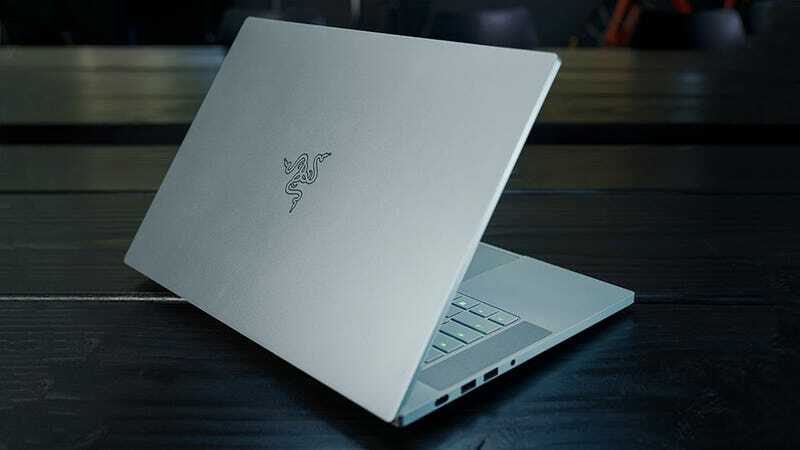 Razer’s known for black and green fingerprint magnets, so it’s a bit of a (pleasant) surprise to learn that the company has a new white laptop you can potentially use without showcasing your affection for games next time you are at the library/meeting/coffee house full of Macs. Razer’s announcement of its limited edition Mercury White comes fresh on the heels of last week’s Microsoft reveal of a non-limited edition black version of its Surface Pro and Laptop. The company known for its black products goes white, and the company known for its silver products goes black. In both cases, it’s more interesting than a simple color shift normally is—these colors are iconic for these brands. Or at least very much bound to the notion of the brands themselves. It goes to show that things can get interesting when consumer tech giants switch up what’s comfortable colorwise. Besides a paler laptop, Razer announced on Wednesday a new base model of its Blade 15. It will retail for just $1,600. As the other versions start at $2,200 that’s quite a deal! Going cheap does mean you’re stuck with a 1080p 60Hz display and just a 128GB SSD and 1TB HDD, but that’s $600 less than the next cheapest model with a 1080p 144Hz display and 512GB SSD. And if you’re hoping to get the limited edition white version for cheap think again. It starts at $2,200. If you want something different, Razer hope is you’re willing to pay for it.